When I started coaching I tended to micromanage race recovery, feeling obliged to give my athletes structured recovery weeks after their race – neatly scheduled swims, bikes and eventually runs. I knew the reality, carefully laid plans set before they’d finished held no weight once the race was done. It takes a huge amount of discipline to get up early and swim the day after a race. I’ve managed it. I have to admit that some activity the following day has helped. My most disciplined approach followed Ironman Western Australia – the week after I cycled every day, at least an hour, always at an easy pace. Muscle soreness rapidly vanished and I felt surprisingly good. Then I flew to New Zealand and crashed with fatigue; I’d not recovered, but I’d eased the process. I’ve never followed structured training in the week after an Ironman. Even my three week transition from Challenge Roth to Ironman UK was guided by feel. I quickly returned to light training, duration and intensity dictated by fatigue and muscle damage. Activity and diet can improve recovery, but you can’t rush it. Until you fully recover training quality is limited – it’s not unusual to feel strong, only to find pushing hard wipes you out. I’ve moved away from micromanagement, instead adopting a series of rules for the athletes I coach. Guidelines aimed to improve the rate of recovery by encouraging activity, but limiting its scope. For some they may be overly conservative, but I would rather be slightly under training in this period, than risk doing too much. The rules are simple and change as the weeks progress – each day of recovery opens more options. 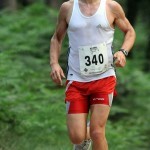 The key points are holding off on running, avoiding intensity and limiting duration. It’s at least a fortnight before I consider structured training and even then this is based on readiness to train. Few athletes break my rules, motivation is usually a sufficient limiter. When I’ve trained hard and raced well, I want the time off; when I’ve under performed I’m well aware of the temptation to compensate and resist it. No intensity. However good you feel, don’t try it. No more than an hour of exercise per day. I’ve some flexibility, but the aim is to minimise duration – active, but not working hard. No running. I see nothing to be gained running so soon after an Ironman, it places the most stress on the body at a time when we want to minimise this. Swim. Follow the rules above and swimming is the perfect choice. Easy cycling. Short, gentle rides are another option, I’m rarely capable of more in the first week. If it hurts, stop. Actually, if you’re not enjoying it, stop. Week one is about recovery, not injury. Eat sensibly. I’ve succumbed to the temptation to indulge and binge, but maintaining a sound diet has been better for recovery. If you’re going to indulge, save it for the following weekend and help your body recover. You start to feel good – you’re rested and fit. It is tempting to push more, but hold off, chances are you’ll find the effort surprisingly taxing. As the week closes you may be able to work harder, but don’t feel you should. No intensity. It’s still not time to work. I take at least two weeks before I’m ready to train harder. No more than two hours of exercise per day. I make an allowance for a longer ride at the weekend, but it has to be easy. No running more than thirty minutes and no running on consecutive days. If you do start running, keep the efforts controlled and minimal, it’s too soon to be training. Swim. With the caveat about intensity you are free to swim as normal. Do not push the cycling. Increase duration is you want, but not intensity. After a fortnight how you proceed depends on your recovery and your goals. You shouldn’t feel obliged to train at this point, least of all because you hear of others already back on a schedule. If your season is over I’d encourage a longer break, particularly when there’s been a lot of hard work; if nothing else time off reduces the risk of mental burn out. I strung together two years of regular racing, by the end I needed the winter off – my mind wasn’t in it. However it’s around the third week that I find I can return to a structure. Intensity remains mostly untouched, but I develop a routine. Performance can be erratic – some days I’ll be flying, others it’s a struggle; I accept what comes and go with it. I avoid placing myself under pressure and focus on consistency – at this stage that’s hard enough. It takes a week or two of this to really return to form. I’m currently experiencing the anxiety of recovery as my body slowly repairs the damage of Epic Camp. Challenge Henley is a fortnight away so I’ve a tense wait for my legs to return to life. After ten days, a cold and extreme fatigue I’m finally feeling able to train. Initial efforts are weak, a part of me worries I’ve broken myself, but I know as long as I don’t push hard I’ll soon be back on form. By Henley I’ll be ready to race. Patience is key to recovery. A willingness to hold back until the body is ready to match expectations. You can only train as it allows, if you aren’t recovered you can’t push yourself. Some fitness will be lost, but it’s soon regained and the rest will help future training. Don’t look at what your peers are doing and feel you have to follow.